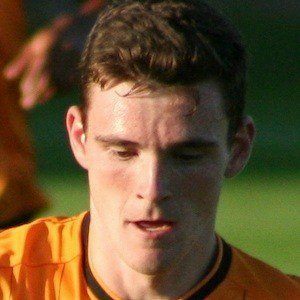 Scottish defender who was named to the PFA Scotland Team of the Year for the 2013-14 Scottish Premiership season in his lone season at Dundee United. He signed a three-year, 2.85 million pound deal with Hull City the following year. In 2017, he joined Liverpool. He got his start with Giffnock SC. He was captain of the team at St Ninian's High School. He was voted as the PFA Scotland Young Player of the Year in 2014. He was born in Glasgow, Scotland. He welcomed a son named Rocco in August of 2017. He and Stuart Armstrong were both named to the PFA Scotland Team of the Year for 2013-14.